Management theory & history, management techniques, refuges, hunting, predator control, control of disease, game administration. 481 pgs. 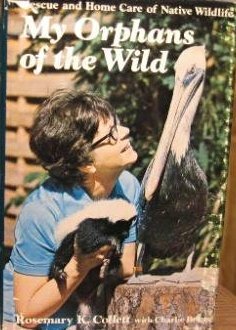 Excellent book for veterinarians, technicians, and wildlife caregivers. Over thirty vets & specialists from around the world have contibuted their expertise to this book that covers over 50 mammalian species providing clear guidance to raising and caring for a wide variety of mammals from birth to weaning. Some topics covered: assessment of the neonate, specialized equipment, expected weight gains, formula selection & preparation, weaning techniques, housing, and common medical problems. Full of charts, tables, graphs, and contains formulas. Domestic animals: puppies, kittens, ferrets, sugar gliders, rabbits. Farm animals: foals, kids, llamas, piglets. Wildlife: squirrels, opossums, raccoons, rabbits, deer, fox, bear, bats, hedgehogs. Zoo animals: ungulates, equids, exotic felids, polar bears, elephants, rhino, macropods, pinnipeds, large & small Primates, lemurs & sloths. B/W photos. 279 pgs. Professional wildlife care and rehabilitation for a general audience. 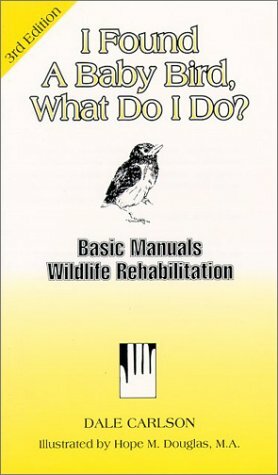 Safe, step-by-step text and picture guidance for back-yard rehabilitators. Provides first aid and rescue techniques, along with proper diet, housing and release techniques. 62 pgs. Professional wildlife care and rehabilitation for a general audience. 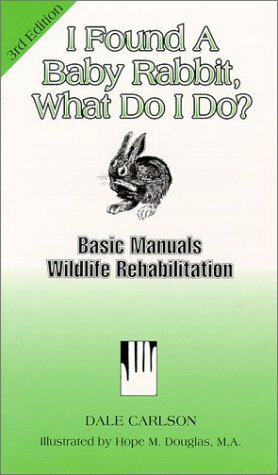 Safe, step-by-step text and picture guidance for back-yard rehabilitators. 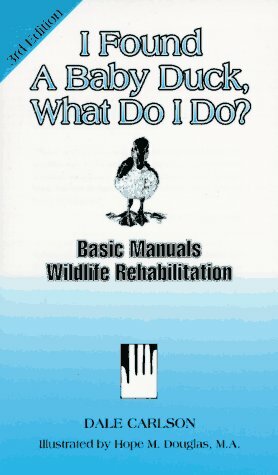 Provides first aid and rescue techniques, along with proper diet, housing and release techniques for ducks. 64 pgs. Gary Bogue's wise & witty columns have won him thousands of loyal redaers in the San Francisco Bay area. He pioneered work in wildlife rehabilitation, hand-raising injured and orphaned animals ranging from humminbirds to mountain lions, for return to the wild. This book is a collection of his favorite columns from the last 18 years. 123 pgs. The popular host of the hit TV show "Jack Hanna's Animal Adventures" gives animal lovers a guide devoted solely to picking the pet that is best suited to personal preferences and lifestyles. Hanna provides information on different breeds, choosing a good veterinarian, and grooming, health, and nutritional needs. The popular host of the hit TV show "Jack Hanna's Animal Adventures" gives animal lovers a guide devoted solely to picking the pet that is best suited to personal preferences and lifestyles. Hanna provides information on different breeds, choosing a good veterinarian, and grooming, health, and nutritional needs. 256 pgs. 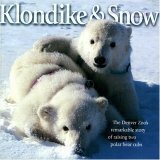 Denver Zoo's true and remarkable story of raising two polar bear cubs. It is also a chroncile of dedication, hard work, frustration and anxiety that are all typical of the foster rearing of any delicate newborn animal. 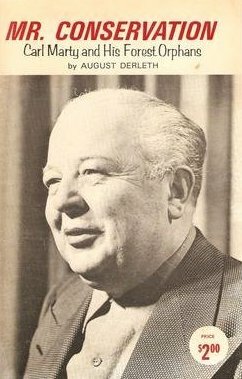 Color photos on every page. 96 pgs. Animal communicator Marta Williams says this is the basis of animal communication and it's a skill anyone can learn. Williams's background as a scientist informs her logical, step-by-step approach to learning the "language" of animals - a process combining mental imagery, visualization, deep listening, and tuning in to one's intuition. ·Including photographs, a basic primer on intuition, and chapters on troubleshooting and transforming self-doubt, this guide of practical advice and proven techniques are interwoven with inspiring real-life accounts. 291 pgs. Describes the recognizable features of each order, species and occassionally subspecies of mammals customarily kept in zoos. Care & feeding are discussed. Also covers captivity history, breeding, rearing of the young, gestation periods, and longevities. 769 pgs. Cover 19 different animal groups. Chipmunk, ferret, deer, primate, bird, reptile, amphibian, more. 312 pgs. In this delightful book, the author Merlyn Horn blends stories of her own life, past and present, with tales of the many differnt types of animals she has nurtured and adopted-in particular the amiable hedghog. Her love of animals is infectious as she recounts the frequently hilarious antics of hogs, dogs, and various rodents-even rats! But the lighthearted tone is sometimes tempered by sadness and indignation at the cruelty animals all to often endure at the hands of humans. Beautiful photographs. 121 pages. 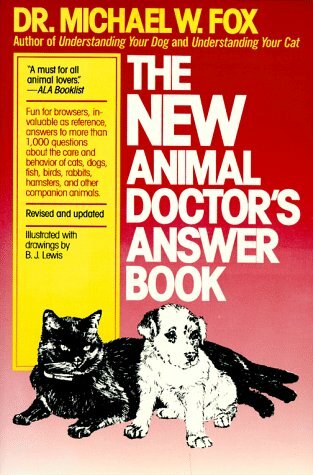 Answers more than 1000 questions about the care & behavior of cats, dogs, fish, birds, rabbits, hamsters & other companion animals - questions covering: selecting pets, ailments & preventive medicine, babies & animals, dental care, diet & feeding, phobias, depression, jealousy, shyness, traveling with pets, vaccinations, landlords & pets, handling & grooming, safety, & much more. 305 pgs. Compiling information from a survey of 600 actual owners, this book answers questions on how to feed a fallow deer, how to house a kangaroo, what to do with an emu, where to find a miniature donkey, and many more. Short concise info of feeding, housing, breeding, behavior, descriptions of emu, rhea, ostrich, serval, asain leopard cat, ocelot, geoffrey cat, mini donkey, mini horse, llama, mini pig, pygmy goat, jacob sheep, shetland sheep, sika deer, fallow deer, wallaby and kangaroo. Half the households in America include an animal companion. Yet, each year, community shelters take in six to eight million unwanted dogs and cats who face an uncertain fate. 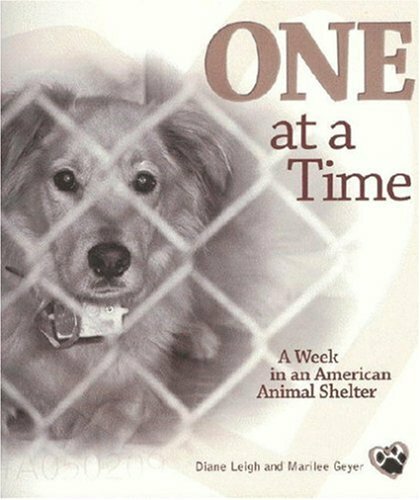 With compelling photos and moving vignettes, this book chronicles the true stories of 75 animals who entered a typical U.S. animal shelter during one week witnessed and documented by the authors. B/w photos. 146 pgs. Covering most of the principal small animals suitable as pets, includes 114 different species of: squirrels, chipmunks, rodents, larger mammals, birds, amphibians, lizards and snakes. Presents much vital facts of habitat, distribution, food and habits; good adivice on captuing and care. Also information on the proper pens, cages, correct diet, construction & stocking of terrariums. 100 halftones, 14 lines drawings. 248 pgs. The extraordinary true story of a woman's lifelong devotion to animal rescue.Chronicled by the National Geographic Explorer Journal, Terri has saved animals from the floods of Alviso, CA; the wildfires of Lexington/Los Gatos, CA; the horrifying Exxon-Valdez oil spill; Hurricane Andrew; and even the Missouri floods of 1993. The extraordinary true story of a woman's lifelong devotion to animal rescue.Chronicled by the National Geographic Explorer Journal, Terri has saved animals from the floods of Alviso, CA; the wildfires of Lexington/Los Gatos, CA; the horrifying Exxon-Valdez oil spill; Hurricane Andrew; and even the Missouri floods of 1993. 394 pgs. 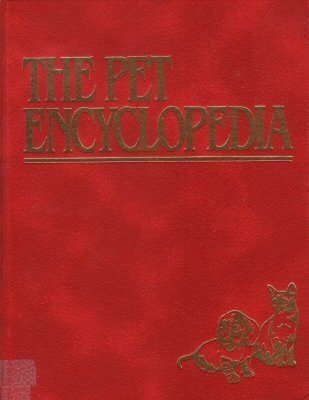 This book is divided into three sections: "All About Pets"; "Pets Of Every Kind"; "The Healthy & Sick Pet". The first section gives general info on choosing, caring for, feeding, training, breeding, rearing, exhibiting & the history of petkeeping. 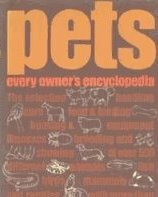 The second part is a comprehensive list of animals kept as pets, from dogs to wolves, from cats to lions, from goldfish to dolphins, from butterflies to snakes. The last part gives detailed advice on the care of sick & injured animals & the vast number of ailments that can effect them. Color photos & color illustrations. Coffee-table size. 368 pgs. Covers the selection, handling, care, food & feeding, housing & equipment, illnesses, breeding & showing of over 500 different animals (dogs, cats, skunks, ferrets, rabbits, rodents, horses, ponies, goats, donkeys, sheep, llama, cows, pigs, coldwater fish, tropical fish, marine fish, insects, worms, frogs, toads, salamanders, newts, lizards, crocodiles, snakes, turtles, waterfowl, birds of prey, pigeons, cage birds, aviary birds, and hundreds more!) More than 1500 original drawings. 431 pgs. Covers dogs, cats, guinea-pigs, rats, mice, small wild animals, pheasants, peafowl, quail, pigeons, doves, cranes, waterfowl, parrots, canaries, bantams, reptiles, bactrachians, aquarium fish. This book, written by a vet whose dog had cancer, will answer your questions about cancer and help you replace your fears with hope. 142 pgs. More than 100 experts--including trainers, animal psychologists, behaviorists, and movie stunt trainers--offer advice on communication with pets, from body language and tone of voice to hand signals and choosing the right name. Sidebars offer entertaining and instructive real-life pet profiles. 125 illustrations. 485 pgs. 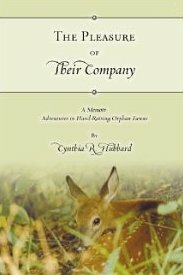 Relates the story of the authors nearly twenty-year journey hand-raising orphan fawns in her barn in the hills of West Virginia, and the unique relationships and bonds that developed with these gentlest of creatures. Who could imagine lying down in a barn stall with a week-old, five-pound fawn curled up alongside; or being invited to play by a fawn, and by that same fawn after release and when grown into a 100-pound buck; or sedating that 100-pound buck, playing Operating Room Nurse while the Veterinarian neutered him, and then Recovery Room Nurse to monitor him as he came out of the anesthetic; or having a fawn grow up and bring her own fawns around to introduce them; or patrolling the woods on horseback during hunting season to protect released fawns? The author couldnt have imagined any of this, but was blessed to know such treasured experiences. The readers will get to experience all of these as well, and more, as they journey along on the adventures, through the chronicles of each fawns history and photographs taken during each hand-raising and after release. 250 pgs. 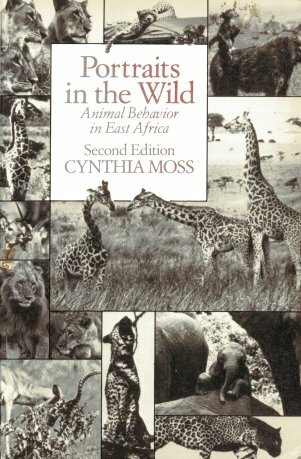 Behavior studies of East African mammals. Covers: African elephant, giraffe, black rhino, zebras, the antelopes, baboons, the big cats, spotted hyena. B/W photos. 363 pgs. Behavior studies of East African mammals. Covers: African elephant, giraffe, black rhino, zebras, the antelopes, baboons, the big cats, spotted hyena. B/W photos. 371 pgs. As well as covering a whole range of species, with sections on birds, mammals, reptiles and amphibians, this edition now includes information on many 'alien' species appearing in the British countryside such as wallabies, wild boar and exotic reptiles. 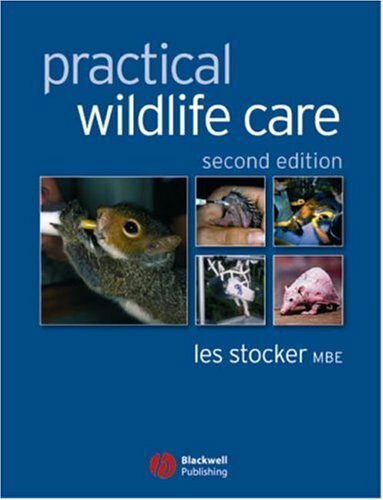 In this edition: Essential guidance on handling, first aid, feeding and releasing, and many other disciplines not featured in veterinary or nursing training; Full of helpful tips from an expert in wildlife rehabilitation who has unparalleled practical experience; Expanded chapters on the care of all species - particularly casualty badgers, otters and hedgehogs - and more comprehensive guidance on rearing orphaned mammals and birds; Lots more colour pictures to aid in management and care techniques and the latest information on zoonotic diseases from around the world. 118 illustrations. 352 pgs.